Only a few hours since The Last Jedi’s release and it, like Rogue One, has polarised opinion already, with some people saying it was the best Starwars to date but with many others leaving, confused, deflated and even disappointed; I unfortunately am of the latter. First off, and I’ll get this out of the way now, its not a ‘bad’ film; far from it. Action sequences are grand, explosion filled and immersive; most acting is intense and believable and the added comedy was, well, comical; I definitely lol’d. Unfortunately though, despite having separate ingredients that on their own were favourable to the proverbial pallet, when they were mixed together, in the way they were, it just didn’t work. And it is here where TLJ falls down and the reason I think a lot of people have come away, like myself, disappointed. 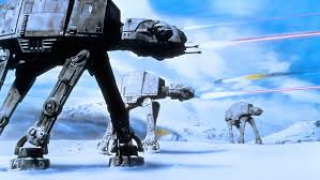 Now I understand why friends of mine have come out and said it was amazing, the constituent parts, on their own merits, are great: the attack on the Dreadnought, the Throne Room fight, the Hoth esq battle at the end and fricken force ghost Yoda were great scenes but the sinews that held them together, the eggs and milk to our Star Wars cake, were either weak, actively trying to undermine the story or just none existent and so instead of a perfectly formed entity we get a messy hybrid that on paper should have been the best film yet but which ffailed on nearly every test. 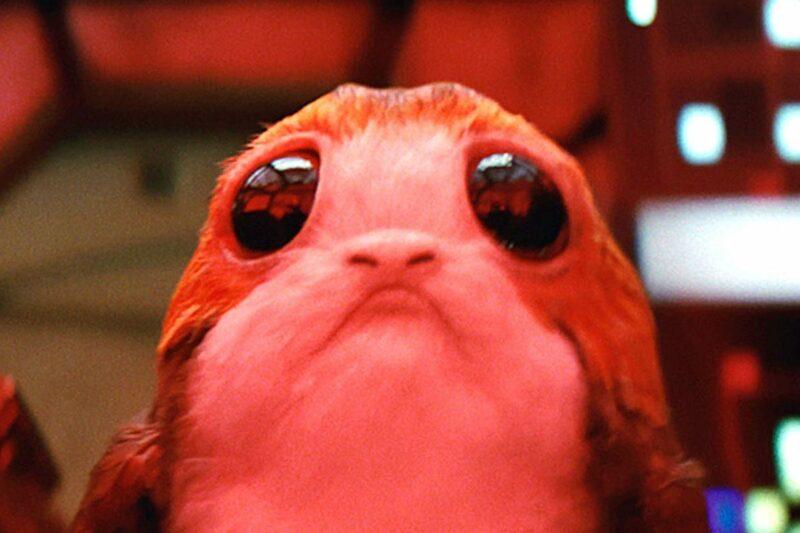 Porgs and general slap stick comedy – For me the greatest annoyance in TLJ was the over use of comedy and those freaking Porgs.. it just seemed to be brazen and pointless in parts and it really affected the mood / shape of the entire film. Sure, as I stated above, each comedy part was amusing but instead of bringing the movie together it proactively undermined it. We have a desperate situation, a rebel fleet needing man power and fuel, a newly resurgent First Order that’s tendrils are dominating the galaxy, Luke struggling with his faith, Kylo and Rey struggling with their identities, a more in-depth look at the Force but aww look, chewi can’t eat his dinner because the Porg is being cute and doing funny things and dawwww the Porgs are on the Millennium Falcon now doing porgy things .. lets adopt them, dawww lets buy loads of Porg toys and have it as the lasting symbol of the entire film franchise. The Porgs are symptomatic of but not the only comic relief I have issue with. General Hux, with his side kick Eddy from Bottom (Adrian Edmondson), Po’s time wasting gambit, all of Canto Bight and most of Lukes gaffs, quips and isms all made me feel like I was watching a Marvel film and as much as I love Marvel films it just doesn’t sit right in the context of this story ark and to me seemed like they were trying to mask a messy plot by over compensating with cutesie comedy. Had this been a different story, a part of a new trilogy , a part of something different then I don’t think I would have had such an issue but this was the penultimate film of a 9 film series (12 if you include stand alones ) that has touched on a lot of very dark source material and to just throw in cheap gaffs and jokes cause, at the minute Marvel are making a killing by adding comedy in their films, just seems to sully the canon and the ending of a story many of us have grown up with. Marry Poppins Leia – seriously WTF?! Leia is meant to be force sensitive, able to feel the force, I understand that, but she’s no jedi. Yet she is blasted out into space and is able to return, weakened but pretty much unharmed; it just doesn’t make sense. Actual trained Jedi’s have fallen foul to lesser events than that and I just can’t see how they are going to move forward to Episode IX, bearing in mind Carrie Fisher is now dead and they said they wouldn’t CGI her in? 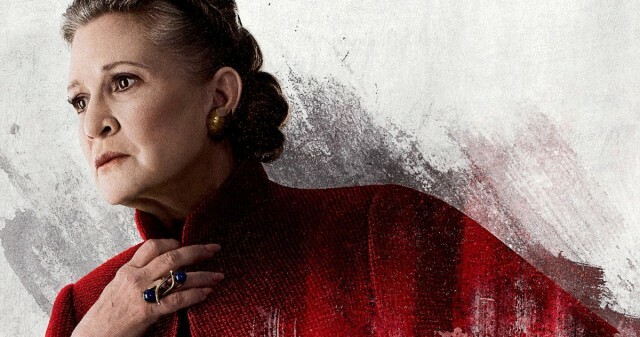 It was as if Rian Johnson has just gone.. “hmmm, everyone is expecting Leia to die in this movie, let’s throw them a curve ball and keep her alive but incapacitated; everyone loves curve balls right.. right?” And yeah, I don’t mind the odd curve ball to be honest, killing off Snoke (though bearing in mind Darth maul survived being cut in twain, having a powerful force user like Snoke die from it does seem slightly lazy) for example, didn’t bother me that much because it at least provided the mechanism for one of the greatest scenes in the film; the Throne Room fight. Leia coming back did very little for the film and just added complications to shooting the next… also, it was ridiculous. 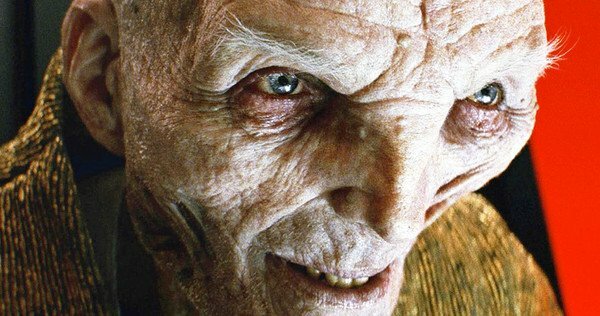 Snoke’s death – Ok so it didn’t bother me that much and I can see where it could lead but as I mentioned above he only got cut in two and if Leia, an untrained force sensitive can survive the void of space and Darth Maul a Sith apprentice can come back from that, then having Snoke, an apparent Sith Lord of great power simply ended just seems lazy; especially as he hasn’t really been explained yet. Rey’s use of the force with no training- This is a bit of a bug bear I’ve had from TFA. 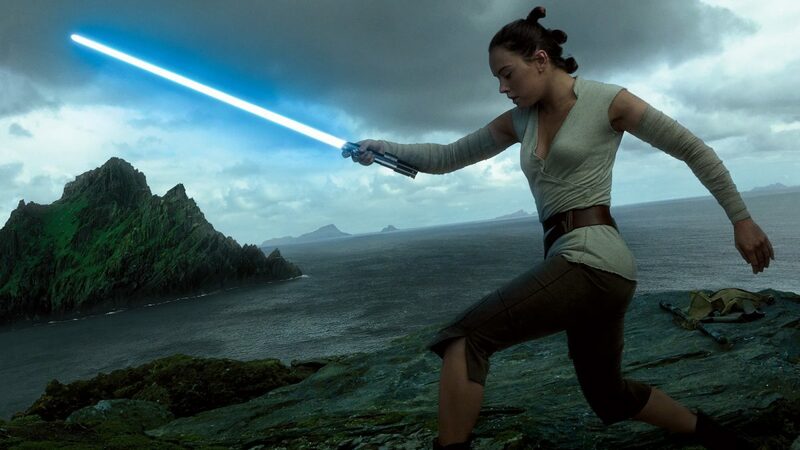 She’s no doubt had to train in some sort of martial art on Jakku to survive the harsh environment but bar ‘having a feeling’ something was up, being able to use force powers, as if she was a trained Jedi, seems to fly in the face of all the other films, general canon and it seems that TLJ compounds this by pretty much saying you don’t need to be trained to do cool stuff.. none of this training in the Jedi temple on Coruscant or a swampy Degoba, na, just do it, things will float and mindless troopers will do what you tell them. At the end of Return of the Jedi we have a Jedi Master, a trained, disciplined and stoic character but in TLJ hes a sullen hermit who has given up and that doesn’t sit right with me. 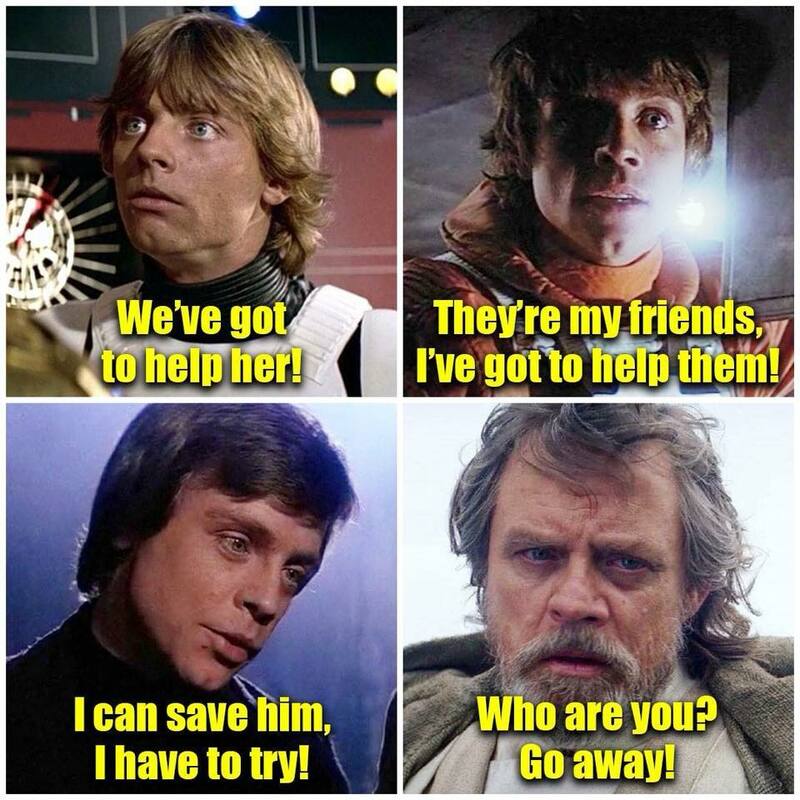 Granted there are times that the old Luke shows up but despite his sacrifice at the end he’s weak, his end, another shoehorned curve ball readying for a force ghost appearance in Episode IX, is pretty lame and he seems more like comic relief than a main protagonist; which is upsetting. 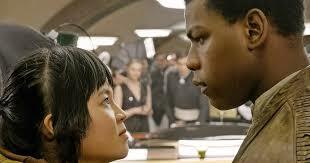 Finn and Rose – Completely unmemorable in the entire film and their side quest to Canto Bight just pointless. It felt like I was watching A Phantom Menace or one of the prequels at some points and I was half expecting pod racing; though I got the next best thing with Camel Dogs. Also I feel that in a bid to work Rose into the franchise and build her back story a bit, they weakened Po’s character; someone who needed more development himself and became the victim of Rose’s exposition . The attack on the Dreadnought killing Rose’s Sister, Po’s mutiny to give them a chance to get a code and his indecision at the end on Crait are just plot devices for Rose and make Po out to be a rank amateur with little care for his comrades lives and to be honest that’s not the same Po from TFA. Nostalgia for nostalgia’s sake – Don’t get me wrong nostalgia is good and you have no idea how much I fan boyed when Grand Moth Tarkin, Gold Leader and Red Leader turned up in Rogue One, that film is better than Empire (see HERE for explanation ) but its nostalgic nods were just that, nods, passing Easter Eggs in a film that was very much its own story. TFA and TLJ on the other hand, as much as they did have subtle moments, also added massive plagiariffic head bobs and were as subtle as a Bantha in a high end Coruscant boutique. I wanted to love this film, I wanted to come out hyped, unable to sleep and just longing to see it again, like I did for Rogue One, but I didn’t, I left confused about what I had seen and unable to reconcile myself with some of it. 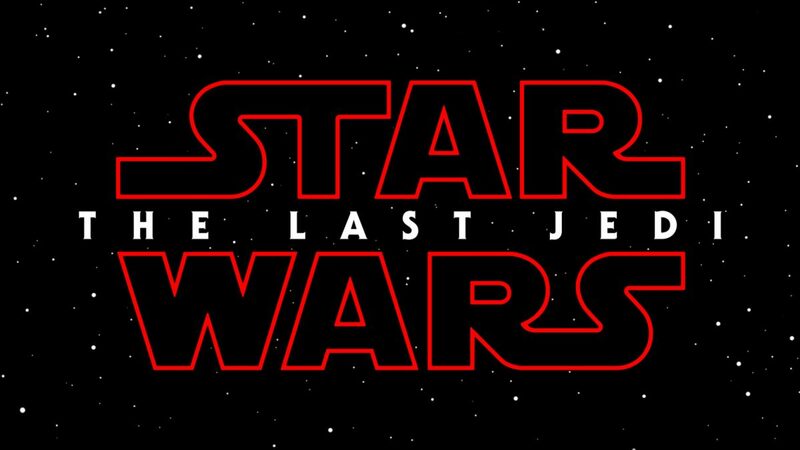 I was sure I enjoyed a lot of it…I laughed, the battles were cool, Yoda came back and the scene with Rey and Kylo fighting Snoke’s bodyguard was epic but I just felt slightly empty , not to mention slightly bored in the middle. Yes it is a good movie and far from the worst in the franchise but instead of making sure that the separate ingredients were mixed carefully, and with the right portions, it seems that it was all just jammed in there and the result was one being left with a confusing taste that wouldn’t go away.